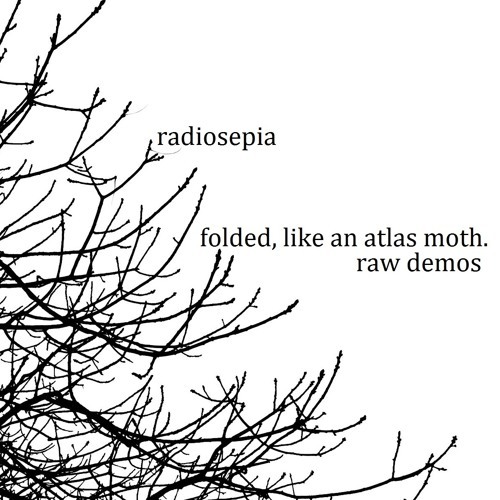 Some new 'raw' demos of new radiosepia songs, recorded at home with a mic and guitar. Two songs, 'Orbiting Frog Otolith Telecasterdemo' and 'I Read the Codes Telecasterdemo' have a few extra layers, voices and effects. I ve included a raw demo (just guitar and mic) of each of these songs too. The rest of the demos were just hit record and go... -headphones recommended. Some of these songs will hopefully form a concept album based on singing electronic devices: For Us - a folk song of protest by a future android protester. I Read the Codes - an airport conveyor belt sings about it's predicament. Ones and Zeros - A ditched computer recounts what happened next after being dumped on the street by its owner and left to be recycled. I Click Every Time a Particle Invades Your Hand - On the workings of a geiger counter. Orbiting Frog Otolith - On a NASA satellite - see http://goo.gl/hnT1Rd and it's cargo. Bulletproof and Rainproof - an unusually talented robotic vacuum cleaner tell us his story. Other Demos: Origami - someone intrigued by their origami-making neighbour. Scars - The lyrical style of this song was inspired by the line 'I keep falling over, I keep passing out, when I see a face like you' on 'Black Star' , one of my favourite early Radiohead songs. Midnight and Blind - Several years ago I was driving though Austria and I was caught in a snowstorm. While thinking about this night, I shook guitar and this little song fell out. Gregory David Roberts - My good friend Adam Rugnetta (previous mandolin player for radiosepia) came in with me on the lyrics for this one. We were discussing the book 'Shantaram' and the lyrics fitted well. The Man With The Gun - The story of a failed bank robbery. I always had the opening scene of 'Pulp Fiction' in mind when I wrote the lyrics to this. The Road - An old song off my solo album 'The Lost Boundary' I still enjoy playing it. Based on the book 'The Road' by Cormac McCarthy. Triassic Times - A love story set across millions of years. It's sister song is 'Time Will Take Our Love Away' on our first album 'Digital Scars'. It's all a bit rough, but maybe you'll get the idea. Thanks for listening - Matt.